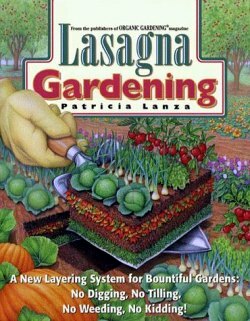 Patricia Lanza got carried away with her layers of stuff gardening and ended up making over 60 gardens. She wisely advises, though, that you start with just one. This book is chock full of tips and timesavers and her favorite varieties of veggies and fruits. She creates not only herb and vegetable gardens, but gets creative and gives you guidelines for every thing from white gardens to edible flower gardens.